Four and a half decades ago, Dr. Charles M. Posner, a World Federation of Neurology representative toured the Asian and Oceanian countries and challenged its neurologists to form an association that would promote and foster the advancement and exchange of neuro-scientific information within the region. In response, Dr. Shigeo Okinaka invited the region’s neurologists to a planning meeting in Tokyo, Japan which subsequently resulted to the birth of the Asian and Oceanian Association of Neurology (AOAN) on June 26, 1961. 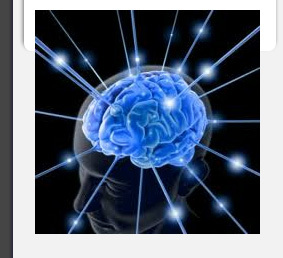 The main objectives of the association according to the AOAN Statutes, as stated in Article 2, are to promote and foster on an international scale the advancement, the exchange and diffusion of information and ideas relating to the nervous system and encourage scientific researches in neurological problems. Article 3 likewise states the hosting of the Asian and Oceanian Congress of Neurology (AOCN) once every four years. On September 14, 1962, the Board of the Association was chosen and it was composed of representatives from Australia, Hong Kong, India, Japan, Korea, New Zealand, Philippines, Republic of China (Taiwan) and Thailand. The AOCN inaugural was held in Nippon Teshi Center on October 7-10, 1962 under the leadership of Prof. Okinaka. Since then, various countries have hosted the AOCN. The 2nd congress was held in Melbourne, Australia, the 3rd took place in Bombay, India, the 4th in Bangkok, Thailand, followed by the 5th in Manila, Philippines, 6th in Taiwan, 7th in Bali, Indonesia, 8th in Tokyo, Japan, the 9th in Seoul, Korea, 10th in Manila, Philippines, 11th in Singapore and now the 12th in New Delhi. Membership to the AOAN also has increased over the years from the initial nine member countries to the present seventeen. Current members are Australia, Hong Kong, India, Japan, South Korea, New Zealand, Philippines, Malaysia, Pakistan, Saudi Arabia, Israel, Indonesia, Singapore, Sri Lanka, Taiwan, Thailand, Mongolia and now most recently Vietnam..
On January 23, 2000, during the 10th AOCN in Manila, Philippines, the congress president, Dr. Amado San Luis requested the national delegates during the AOAN meeting to review the 1961 Statute. He then asked the delegates if the AOAN will continue to just limit its activity to holding the congress every four years. The members unanimously agreed that more academic and scientific activities should be initiated by the AOAN and harness the vast potentials of the region. The delegates then appointed Dr. San Luis to lead the task of amending the statute of the AOAN. On March 24, 2000, Kuala Lumpur, Malaysia, the delegates discussed the suggested amendments to the 1961 Statute. This was followed by cyber net consultations and discussions. The final draft was then presented to the national delegates on June 17, 2001 at Capthorne, Tara Hotel, London during the 4th World Congress of Neurology and was approved unanimously. The members then tasked Dr. San Luis to conduct an election by electronic mail in 6 months.This was later realized to be not possible, so the members suggested holding an election during the AOAN meeting, thus a the first formal election was conducted on Dec. 1, 2003 during the 5th Biennial ASNA Convention and 25th Annual Convention of the Philippine Neurological Association, Waterfront Hotel, Cebu City, Philippines. The first elected office bearers were Dr. Amado San Luis, president; Dr. Bhim Singhal, vice president and Dr. Richard Kay, secretary-treasurer. When the Amended Statute of the AOAN was unanimously approved, the body also approved and adopted the AOAN Mission Statement as proposed by Dr. William Carrol of Australia. To promote the development of clinical neurology and neurological science throughout the Asian and Oceanian Region. Assist, as required, in the development of training programs and research efforts in member and potential member nations of the region. Facilitate co-operative exchange programs for trainee and qualified neurologists and neuroscientists. Participate with activities promoted by the WFN. Respect the aims and aspirations of member organizations in providing support and advice. Promote friendship amongst neurologists and neuroscientists in the region. Act with sensitivity in obviating political and cultural influences which may impact adversely on these mission objectives.